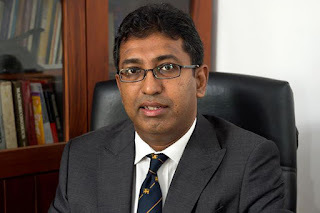 Deputy Foreign Affairs Minister Harsha de Silva today said no more garbage would be dumped at Meethotamulla. He said two alternate locations had been identified instead. Expressing condolences to the families that lost loved ones, the Deputy Foreign Affairs Minister said the state would bear the cost of the funerals. The Deputy Foreign Affairs Minister said furthermore, a special coordination committee was appointed by the President this morning to manage the situation at Meethotamulla. 'Major General Sudantha Ranasinghe was put in charge of search and rescue where an area of about 150m by 75m is being carefully cleaned up. The military is using its trained men and equipment and is doing a thorough job to look for those who might be still trapped. The utility lines have been shutoff and safety concerns addressed for the personnel on the job,’ the Deputy Foreign Affairs Minister said. He said Senior DIG Nandana Munasinghe has been placed in charge of public order. ‘The District Secretary of Colombo is overall in charge of all administrative coordination matters. Already close to a hundred people have been shifted to temporarily holding locations; schools and others will be shifted as well. PM has ordered the release all necessary funds from the Treasury to deal with all financial requirements,’ the Deputy Foreign Affairs Minister said. He added that it was ironic that agreements to begin waste-to-energy projects with refuse at the Meethotamulla dump was signed only a few weeks before. The Deputy Foreign Affairs Minister also said the payments had been made to the families at risk of landslides, but they had not moved out as encouraged. He said the families had been advised to leave as recently as two days ago.